• 20 Litre capacity unbreakable tank is made of Virgin Plastic. 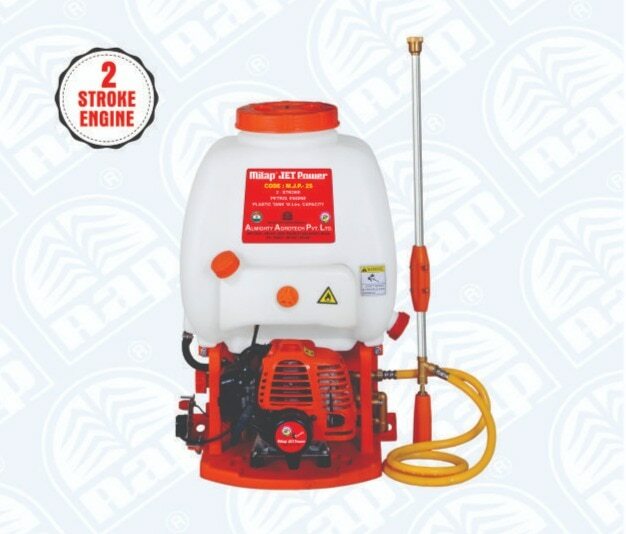 • Brass pump cylinder and working pressure is 30-35 Kgf/cm² Pump flow rate is 10.5 litre/minute. 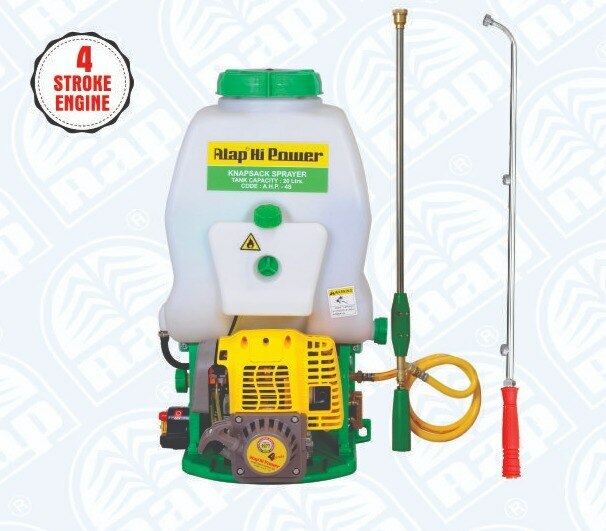 • Light weight, single cylinder, 4-stroke 31 CC air cooled engine with 900 ml petrol tank. • 3 feet long spray gun and three nozzle S.S. Lance. • 26-28 Pumps in 1 Litre petrol.